Volunteers from the North American Division (NAD), Columbia Union Conference, Allegheny East (AEC) and Chesapeake conference Adventist Community Services (ACS) Disaster Response (DR) have joined forces to help clean up flood damage in the Baltimore and Catonsville, Md., areas following floods in the spring. As part of this effort, this Sunday NAD staff and volunteers and members from AEC's Miracle City church in Baltimore, First Church of Glassboro in New Jersey, Emmanuel Brinklow church in Ashton, Md., and Boardwalk church in Atlantic City, N.J., visited homes along Frederick and Edmonton Roads in Baltimore and Catonsville to help residents clean up damaged parts of their homes. 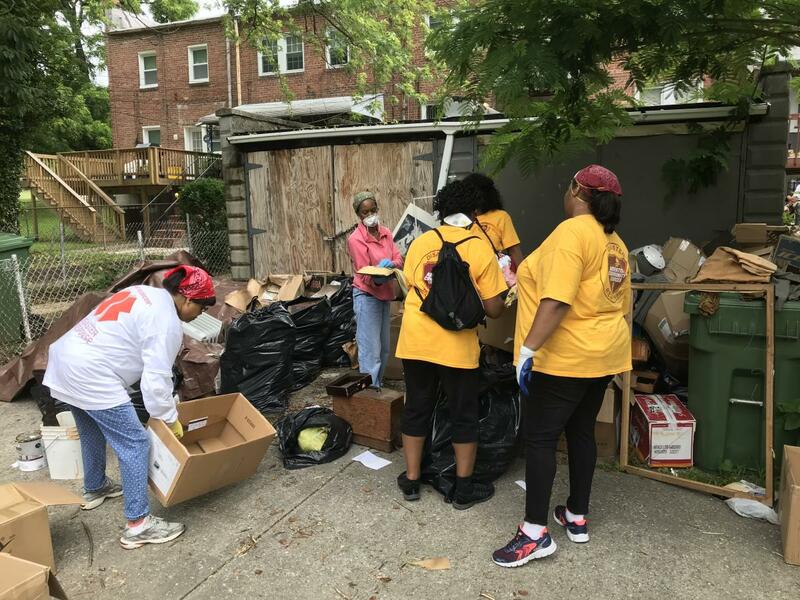 Conference ACS leaders around the Columbia Union Conference are prepared to help in similar situations and offer training so other members and their church ministries can help in possible emergencies too. Find out more how your church can help here.